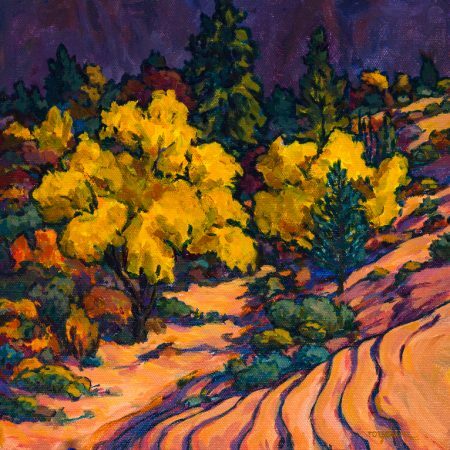 Born in Canada and raised in Utah, Royden’s main inspiration and focus has been the red rock landscape. 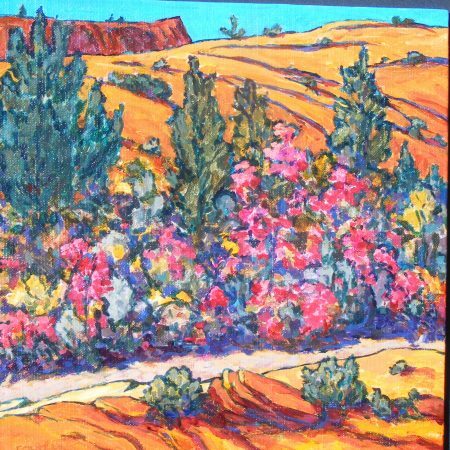 He captures the impact of the desert in small Zen-like black and white woodcuts and intensely colored acrylic paintings which convey the majesty of the badlands. 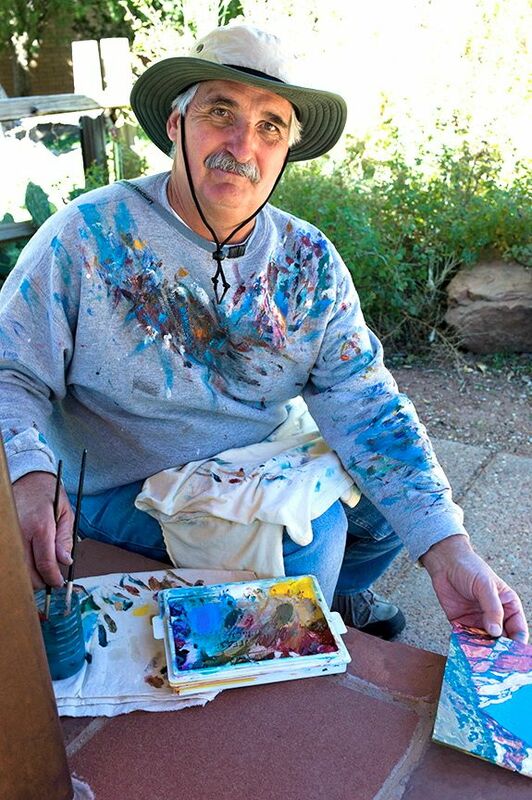 Royden received his BFA and MFA form Brigham Young University and there taught printmaking for 16 years. 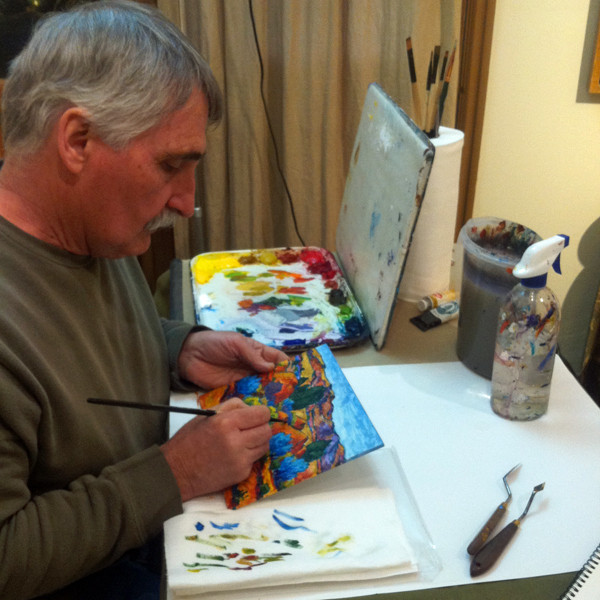 He also occasionally taught art classes for the University of Utah and Utah Valley State College. His works are held in university and private collections nationwide, including the Smithsonian Library, Special Collections (Artist Books) in Washington DC. From 1989-1992 the State of Utah honored recipients of the “Governor’s Award in the Arts” with a collection of Royden’s woodcuts. 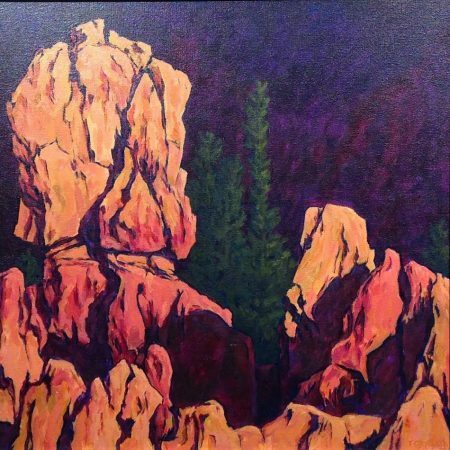 Since 1996, Royden devotes his time to painting & printmaking. 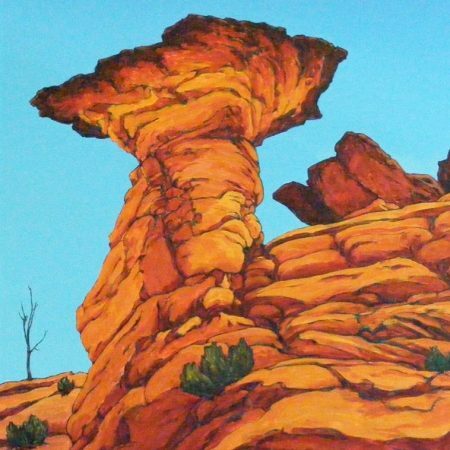 Recently his paintings have become larger in scale and his palette more colorful. He is the author of “Desert Drawn”, a collection of prose-poetry & sketches. 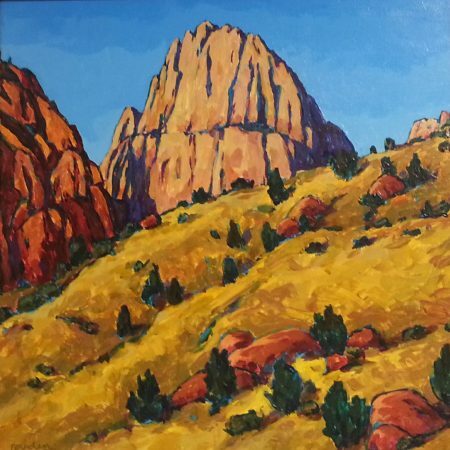 Royden currently makes his home in St. George, Utah, surrounded by the desert from whence he derives inspiration & imagery.